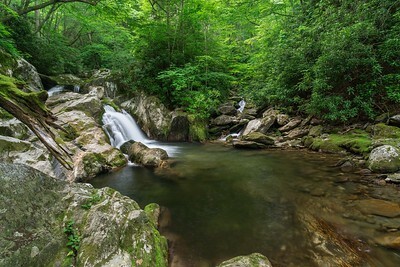 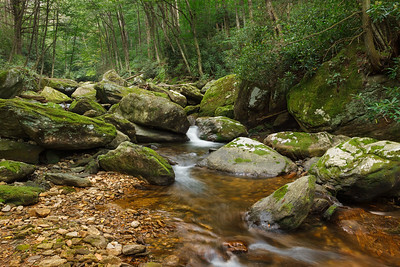 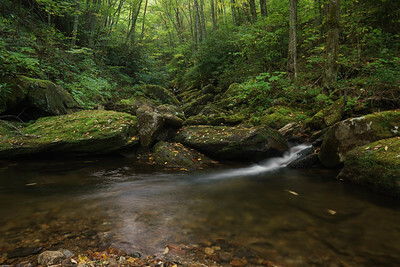 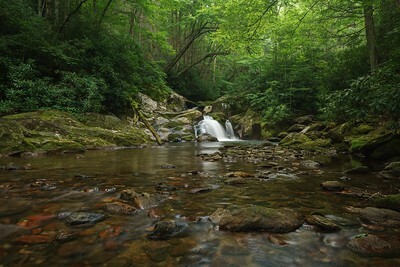 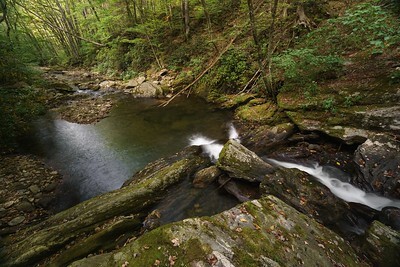 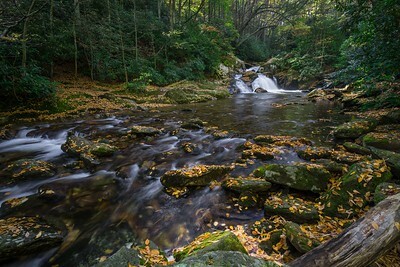 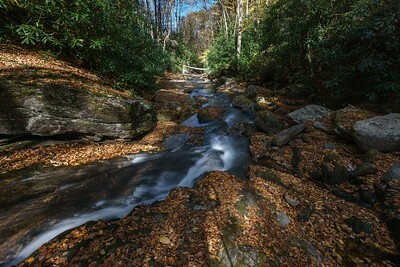 The Middle Prong of the West Fork Pigeon River drains the area known as the Middle Prong Wilderness in Haywood County NC. 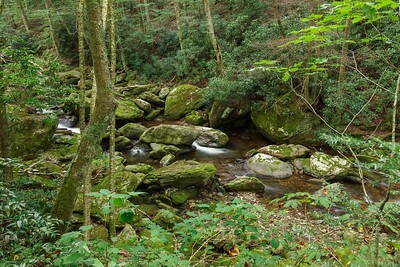 The watershed is a large bowl between Fork Ridge to the east and the Mt. 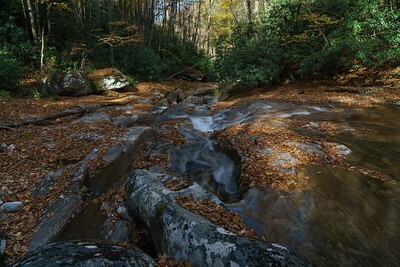 Hardy - Richland Balsam ridge to the southwest. 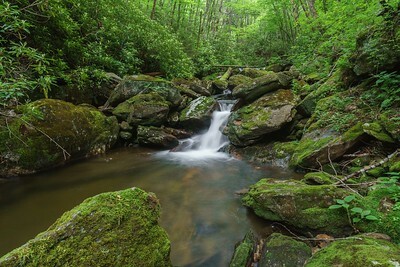 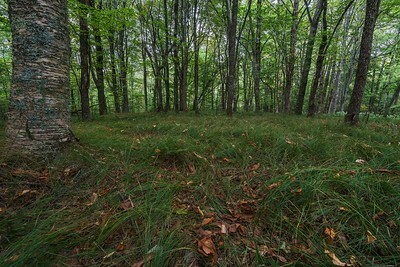 It is not covered in virgin forest, having been clearcut in the early years of the 20th century, but, being perhaps the rainiest spot in North Carolina, it has grown back into a lush, mature second growth forest.